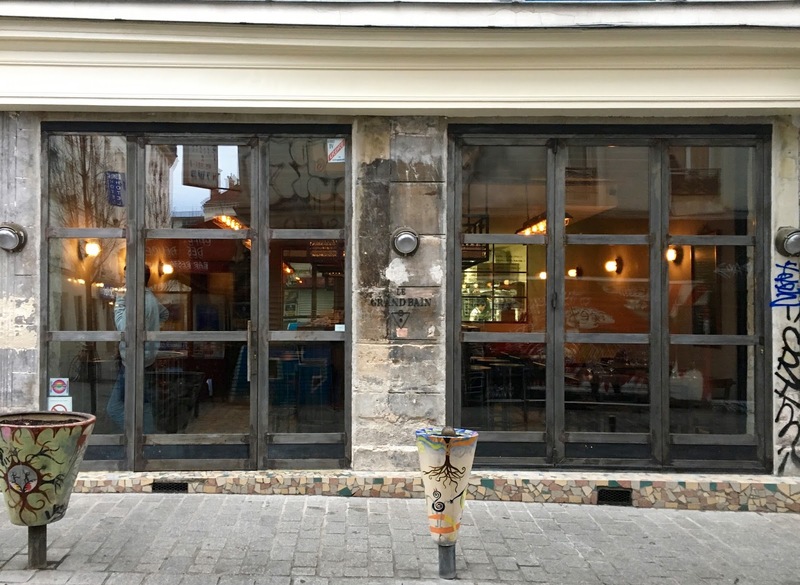 Delling-Williams' long-awaited new project is Le Grand Bain, a bar-restaurant opened in partnership with chef de salle and wine director Edouard Lax and interior designer Alexandre Janssens on the Belleville graffiti haven rue Dénoyez. 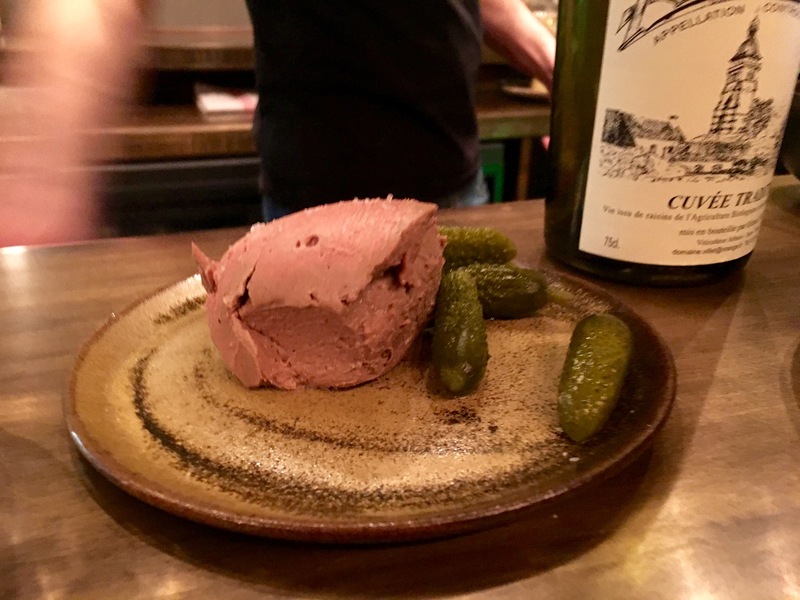 The restaurant opened quietly last December, after significant delays that saw months of Delling-Williams plying his trade itinerantly around other Paris restaurant kitchens. Anyone who passed through Au Passage during his tenure probably expected Delling-Williams to make a big splash in the kitchen at Le Grand Bain. Yet for now, with few exceptions, his work at the new venture has been remarkably unshowy. 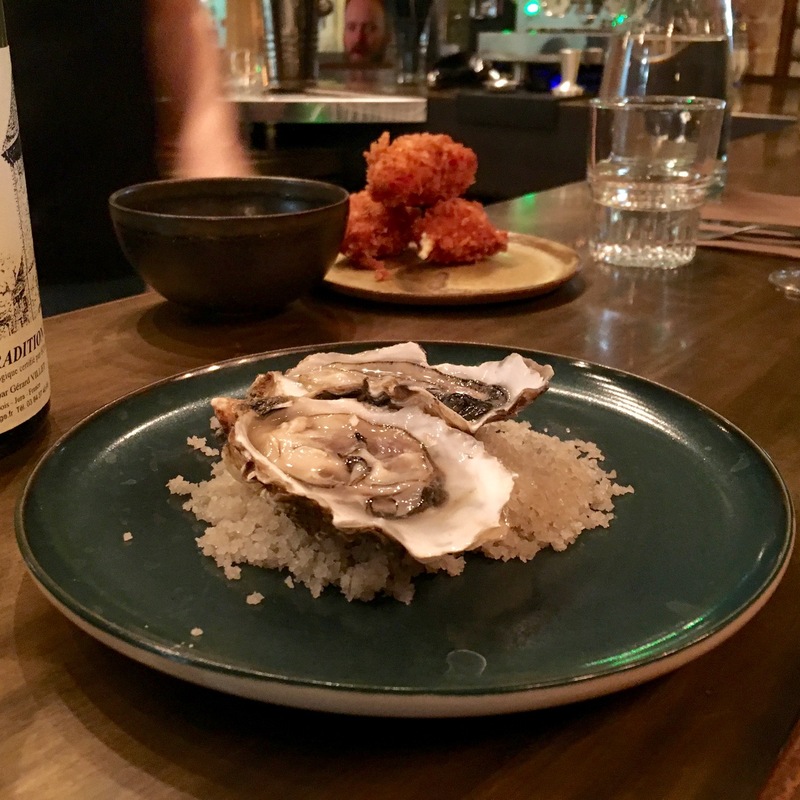 Delling-Williams knows by heart the burgeoning audience that exists for a savvy small-plates restaurant in Paris in 2017. In Le Grand Bain's crisp, brut space, he is playing to that audience with the irresistible panache of a seasoned croupier. The restaurant is arrayed around a splendid II-shaped bar, capped by a column on the interior side. Tables are packed tight against the walls, with a more spacious chef's table bathed in the projector-like light of the roomy rear kitchen. The toilet, it bears mentioning, is immaculate and practically the size of an arrondissement. I have worked for restaurateurs who would have found a way to wedge a two-top in such a space. I had heard a rumour at some point that Delling-Williams planned never to repeat at Le Grand Bain dishes he'd made at Au Passage. This turned out to be a rumour, as a familiar mousse of chicken liver attested on my first visit. 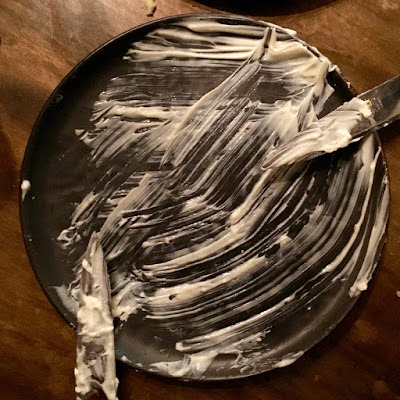 But repetition is no crime in the contemporary Paris small-plate ecosystem, where I'm overjoyed merely to avoid burrata on any given night. 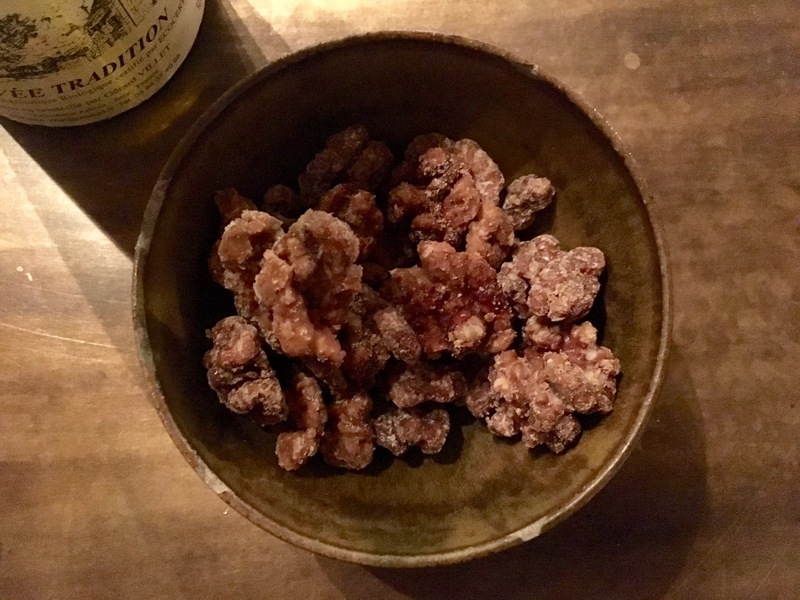 Anchored by a few simpler meat dishes that scan as normal main courses, the menu leans equally on crudo-like preparations and hearty vegetable dishes. 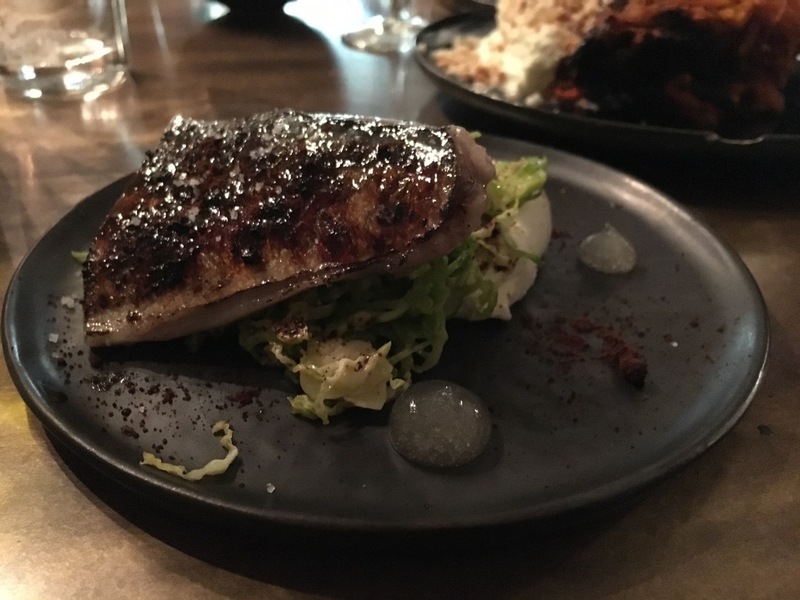 Flamed mackerel atop julienned raw cabbage was bright and brittle-skinned. 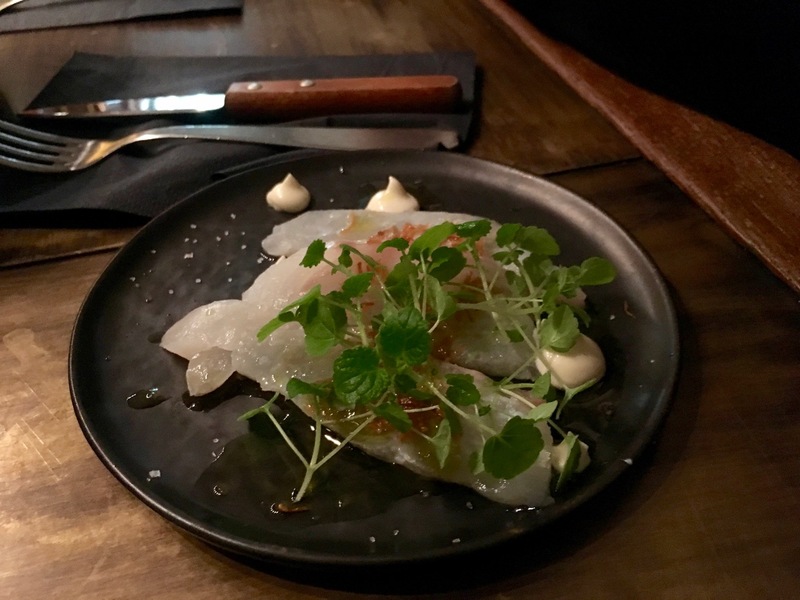 The raw cod in another plate was unimpeachable, pure and lace-like in texture. These dishes had the feel of improvised riffs, sharing sauce presentations and overall construction, substituting flavour combinations. 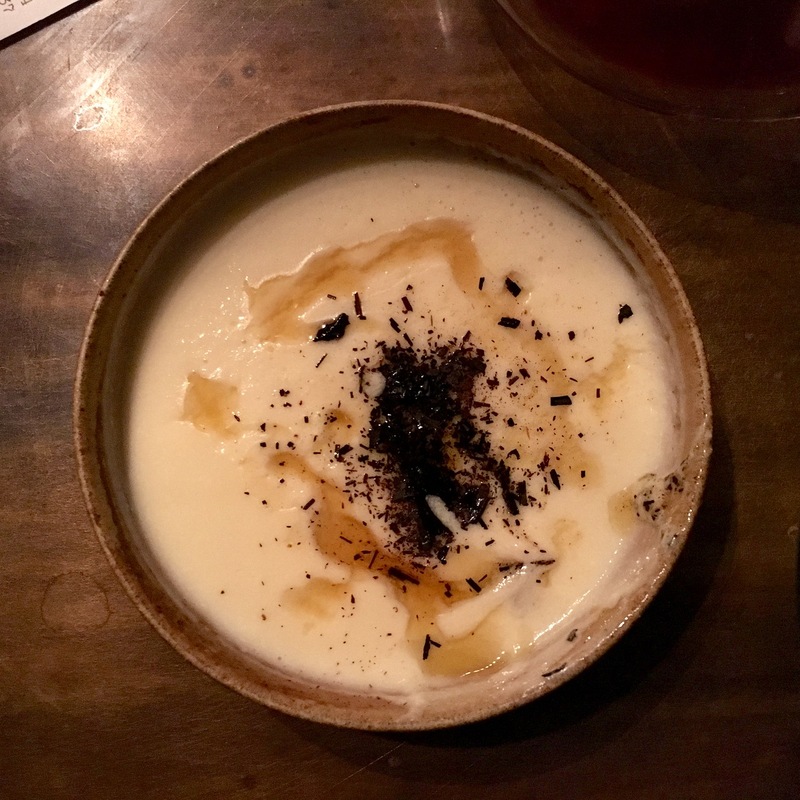 Curiously, for such a cosmopolitan, contemporary place, many of the most successful dishes were those that hewed to a simpler bistrot format. A parsnip soup was airy and nuanced; beef heart with kale felt like an inspired prelude to scaling a mountain. N.B.,this looked a lot better before we hacked at it. Certain dishes feel more manifestly thought-out, not always to their benefit. 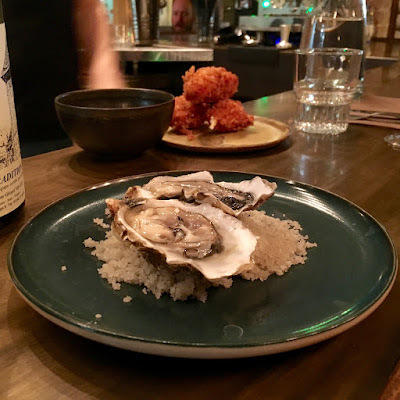 A plate of smoked oysters once arrived dramatically beneath a bell-jar of trapped smoke, which object, I thought as I slurped, must take up awful lot of storage space. A handsome and succulent slice of Beef Wellington the size of a sand-dollar was a very promising start to a trademark dish - but it felt slightly dear at 12€, and seemed to beckon for horseradish. 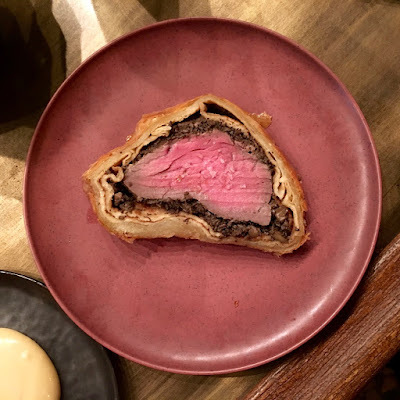 Edward Delling-Williams' Beef Wellington. It's even fun to say. Edouard Lax's modest natural wine list, meanwhile, is well-priced and benefits from a few truly unexpected selections, like organic Jura estate Domaine Villet's marvelous 2011 Arbois, a bottle I've gone so far as to return to the bar expressly for. The wine's sinuous salinity and mature fruit represent for me a platonic ideal of Jurassien chardonnay. Le Grand Bain's pricing is daringly low, even for Belleville, a neighborhood forever on the doorstep of gentrification. Portion sizes are small, and larger tables are encouraged to take more than one of many items. This dynamic is rare in Paris due to the thrifty, risk-averse nature of French diners, who, regardless of age group, share a positive horror of over-ordering. 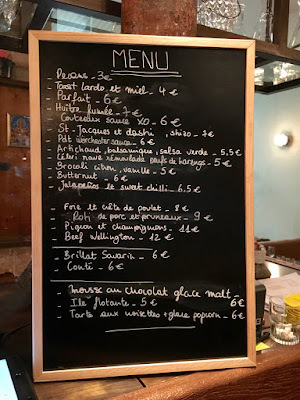 Most Paris restaurants can enforce a sustainable check average only via tedious menu formules. 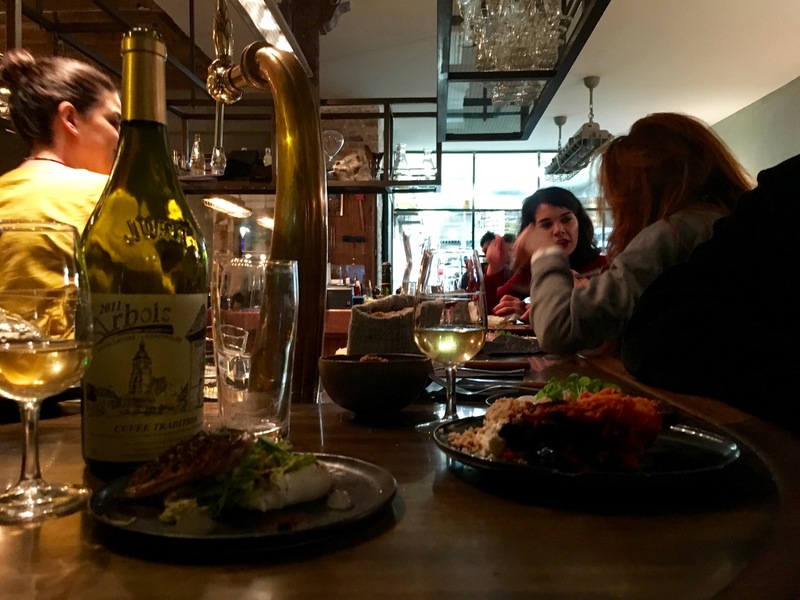 Le Grand Bain's implicit wager, which I support, is that diners here can be encouraged to spend a little more if the surroundings are sufficiently lively. Delling-Williams, a born ringleader, is preternaturally well-suited to pull it off. A perpetually packed-house places more of a burden on the service team. But that is what it's there for, after all. I would be concerned about four-tops ordering only the "Frosted Nuts" and chatting for hours. 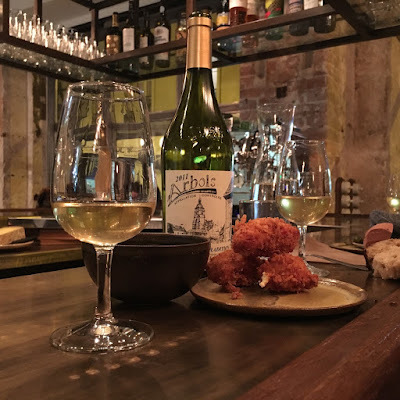 Le Grand Bain recently announced seven-day opening hours, as well as a special Sunday Roast service, all encouraging news. 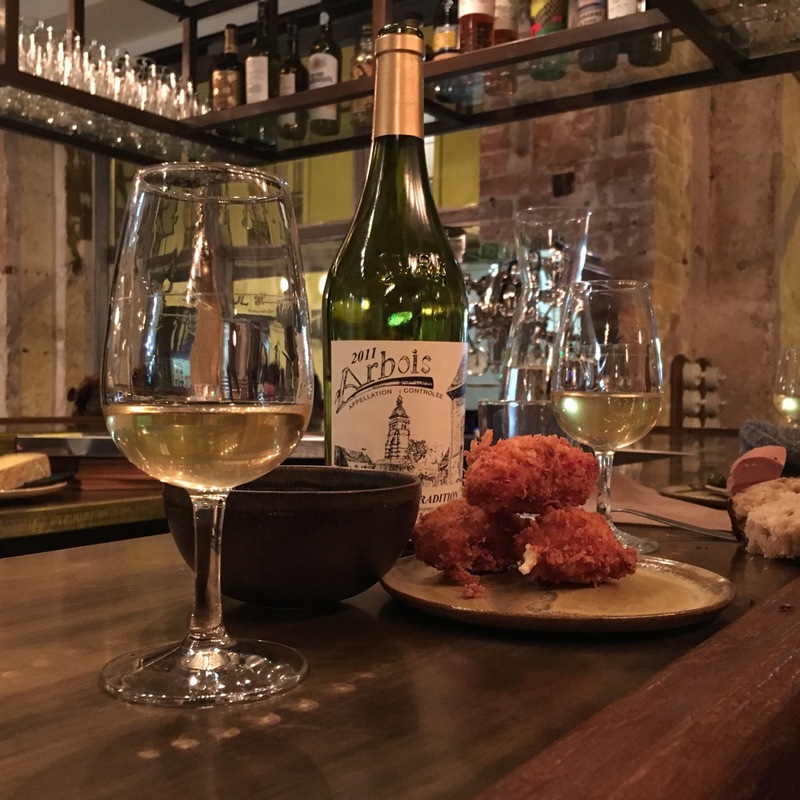 The inexpensive, come-one-come-all, seven-days-a-week vibe feels appropriate for Le Grand Bain, as it might for the restaurant's elder step-siblings Martin and Jones. The atmosphere at these restaurants is not intended to evoke an event meal at a destination restaurant. They represent - and largely cater to - a generation of diners who prefer fine cuisine be offered with l'air de rien. Le Grand Bain offers a form of comfort food, in this way. As Sylvia Plath, another fan of bell-jars, said, "There must be quite a few things that a hot bath won't cure, but I don't know many of them." The remains of a plate of excellent Brillat-Savarin. 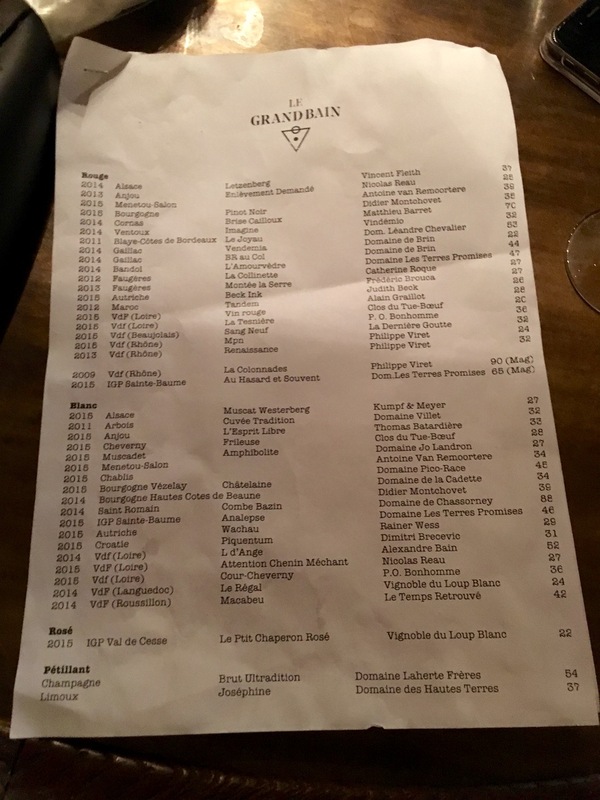 Le Fooding's helpful list of ingredients and decor elements at Le Grand Bain. 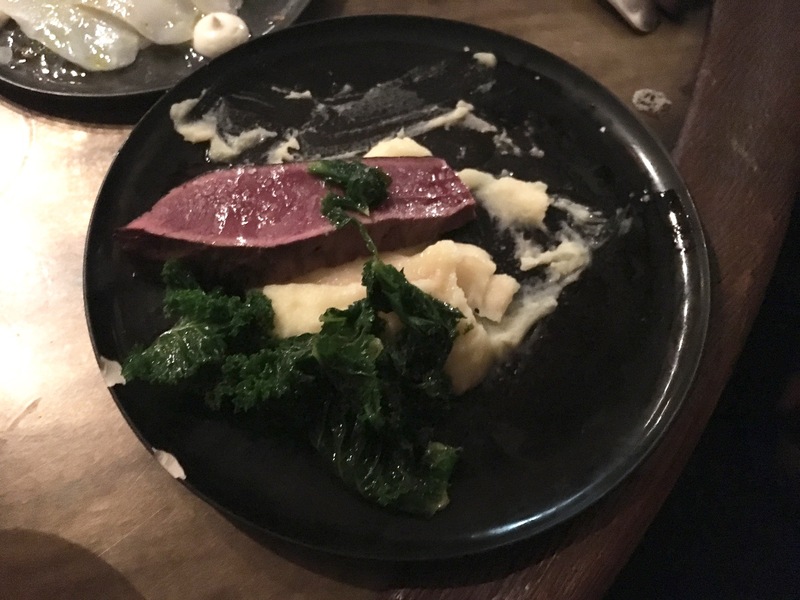 Time Out took the unusual step of having their reviewer review a friends-and-family opening party at Le Grand Bain. Whatever, right? Emmanuel Rubin used his blurb review of Le Grand Bain in Le Figaro to throw shade on Le Fooding. It seems a possible misstep to knowingly dub Paris' younger, more open-minded dining public the "parishioners" of a rival publication. But I leave this to the professionals. French Vogue really phoned-in their piece on Le Grand Bain. Writing like this gives one a newfound appreciation for hack food writers, for at least they are aware of what food writing is. That Vogue piece was awful. Wonder who the culprit was?